Remember when your bench grinder stayed put? As all woodworkers know, a grinder on a normal work surface often times jostles and skews the other items in a work area due to heavy vibrations created by the grinder. 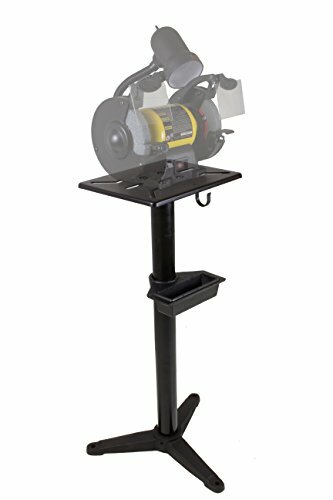 The WEN Bench Grinder Pedestal Stand resolves this issue by providing an independent surface for you to attach your tool. The heavy cast iron and steel design limits vibration while providing a sturdy 31.5 inch pedestal for your grinder to rest on. 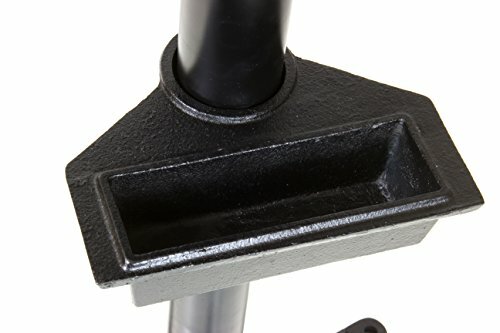 The stand includes a water pot for quenching workpieces and a reliable three-legged design with bolt holes for fastening your stand to the floor. 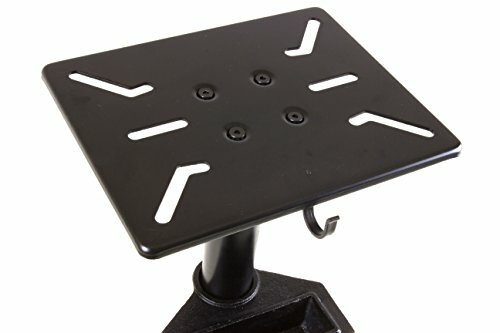 The 9.9- by 12.4-inch cast-iron top is provided with slots and holes for securely mounting your bench grinder to the stand. And even though this stand was built with the WEN Bench Grinders in mind, its universal design accommodates the majority of bench grinders on the market. 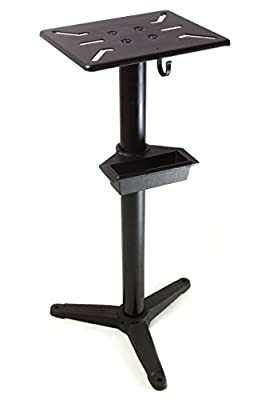 And because it is a WEN product, your bench grinder stand comes backed by a one year warranty, a stocked inventory of replacement parts, and a friendly and helpful phone line. Remember when your bench grinder stayed put? Remember WEN.